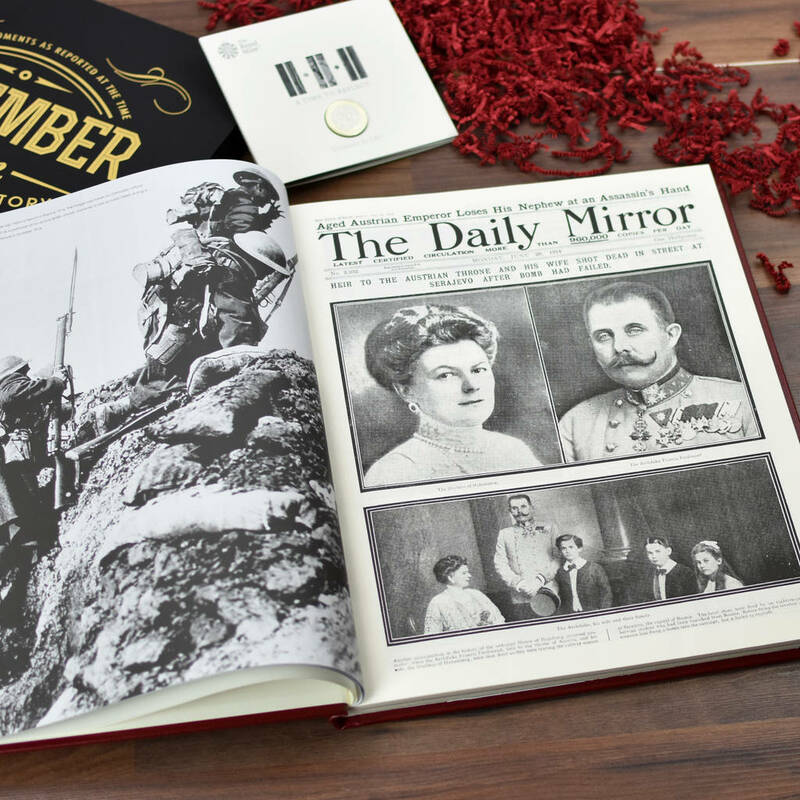 This A3 red leather newspaper book commemorates 100 years since the armistice was signed and contains newspaper articles from the time of the war, and a pictorial section that captures what it was like for people living through the conflict. The book is embossed with the recipient’s name and also features a poignant poppy design with the Ode of Remembrance around it. 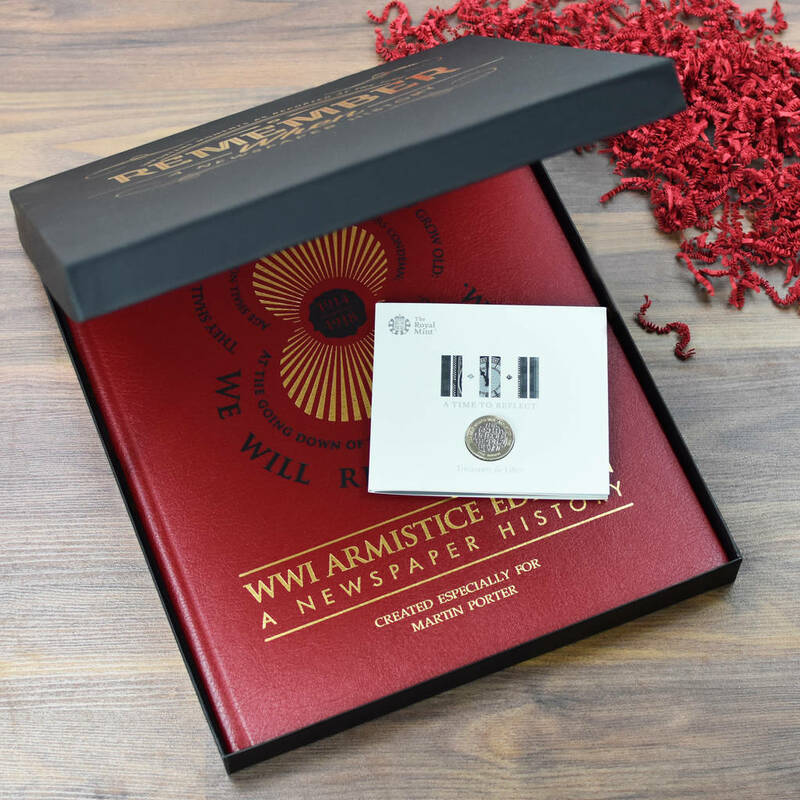 With the book comes a limited edition, Brilliant Uncirculated £2 coin which has been especially made for the armistice commemoration. 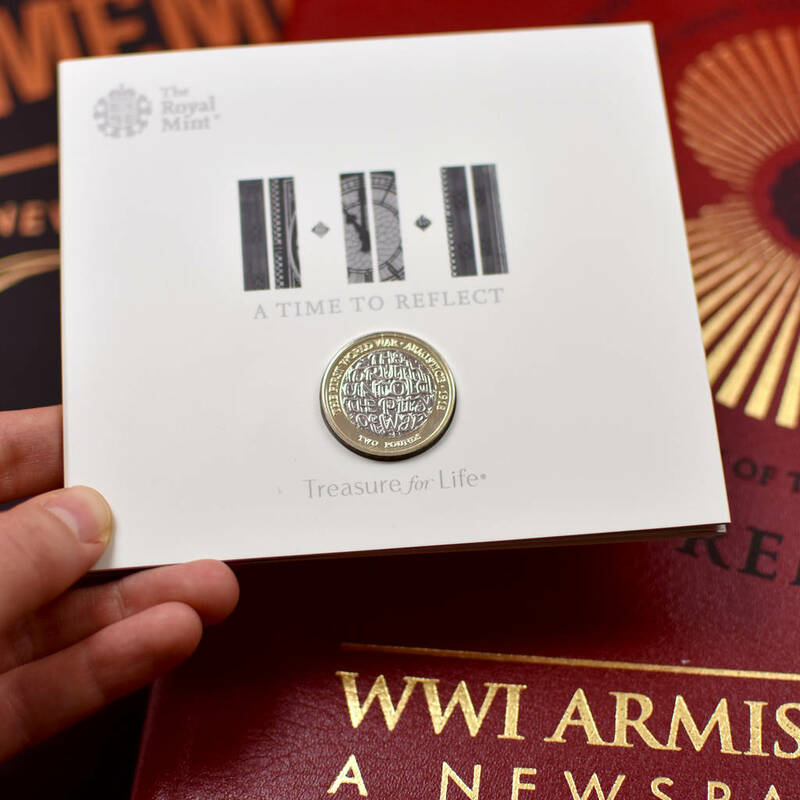 The coin is packaged inside a card wallet, which features facts and information about the war. 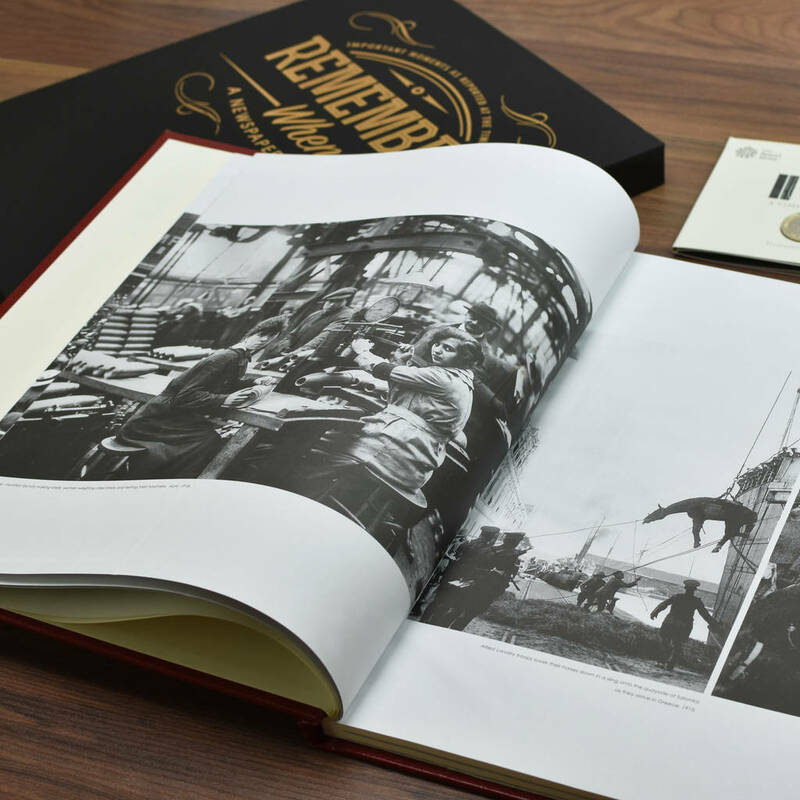 A immense keepsake to commemorate a sobering moment in human history. 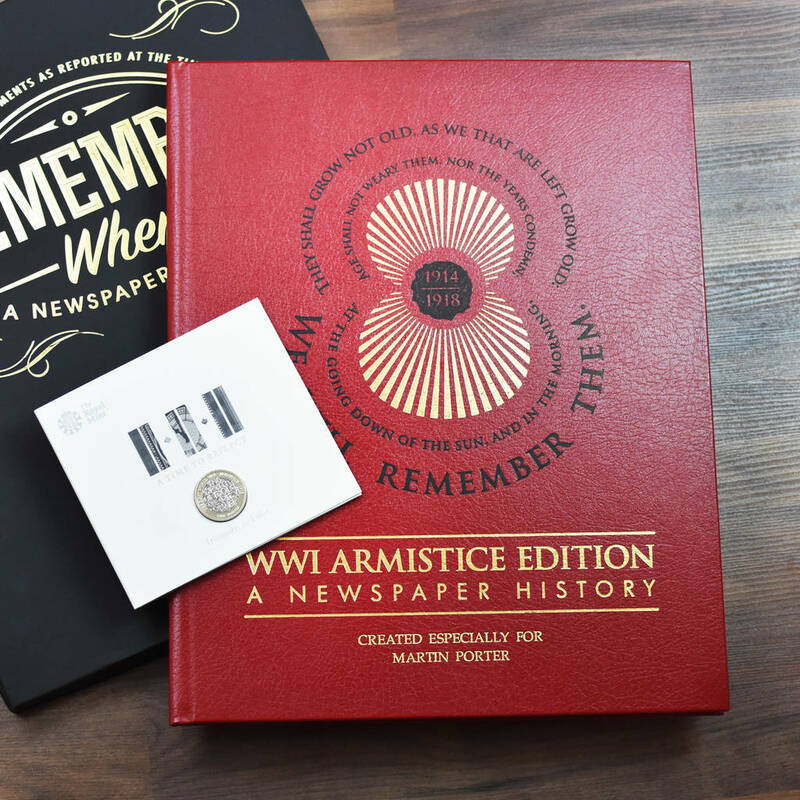 Please DO NOT include accents and symbols as these may not be supported and affect your personalisation.